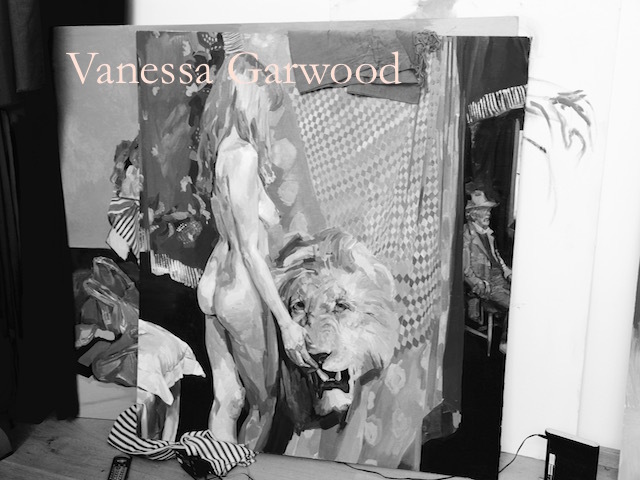 Vanessa Garwood was born in Israel in 1982. 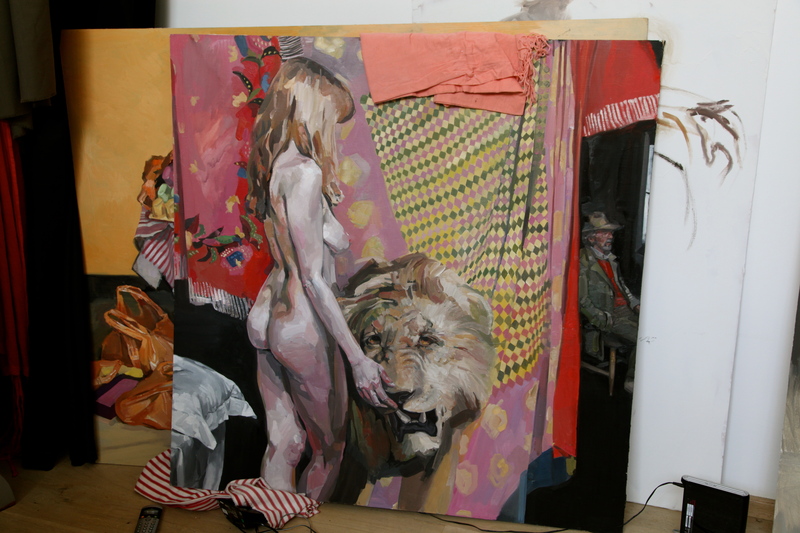 She lives and works in her studio in West London after studying painting and sculpture at the Charles Cecil Studios in Florence. 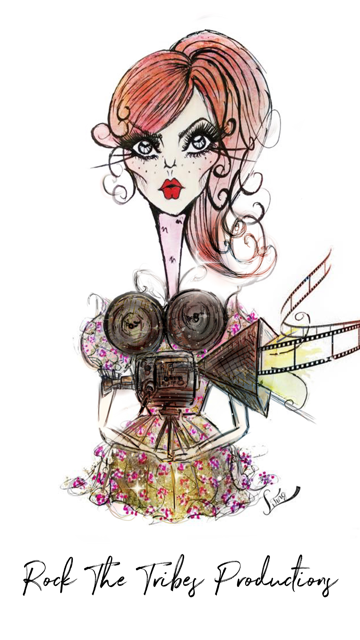 Her work is featured in this month’s British Vogue and is currently focusing on commissions and future exhibitions. In addition to this she works from life in a variety of mediums and looks at figurative portraits, conversation pieces, nudes, landscapes in oil, bronze, plaster and works on paper in charcoal pen and ink. She has travelled through Europe, Africa and South-America and was recipient of a three-month sculpture apprenticeship to Dylan Lewis in South Africa. 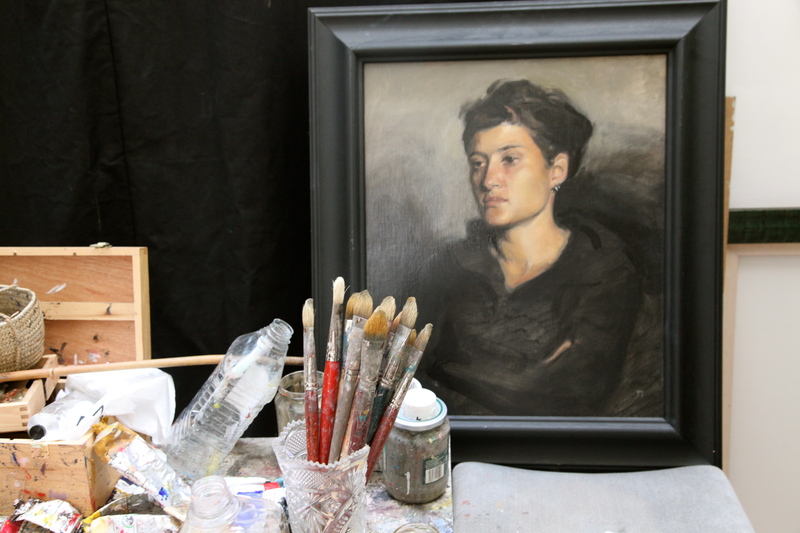 Here Louise Leverett visited her studio to talk about her work and inspirations from which her style has derived. LL: Let’s go right back to the beginning. At what moment in your life did you decide that you wanted to be an artist? Can you pinpoint it? VG: I guess I did first decide I wanted to paint professionally when I found this art school in Florence, Italy, which I found when I was about 17. I’d always loved painting and drawing before but I hadn’t really ever met a bunch of people with similar creative ideals and so going out there and realising that you can make a profession out of painting naturalistically and discovering that technique wise there was that opportunity to learn what I needed to learn out there. That just opened it all up basically and that’s when I first realised. But it was always what I loved doing before I guess I just hadn’t fallen in love with the art world as I saw it in England and I was really inspired by what I found there. LL: Was there a point where you thought it would be possible to make this your career? VG: I think that was when I found the school in Italy – when I spoke to lots of people and saw how they were making it a reality. It just did become possible suddenly. LL: When you went out there was there already a process that you followed in your work? VG: I loved representing what I saw in front of me but I didn’t have any technical process and I didn’t understand light and dark or tone and colour within any structure. And I think you need the structure in order to make it your own afterwards. So no I didn’t have any process. Right now I’m starting to undo a bit of the technique to find out what’s mine underneath it but that’s going to be a lifelong process. LL: In the process you use is there a formula to it or does it evolve within each project? Is there an initial formula you follow when you have a vision and when you then turn that vision into a painting? 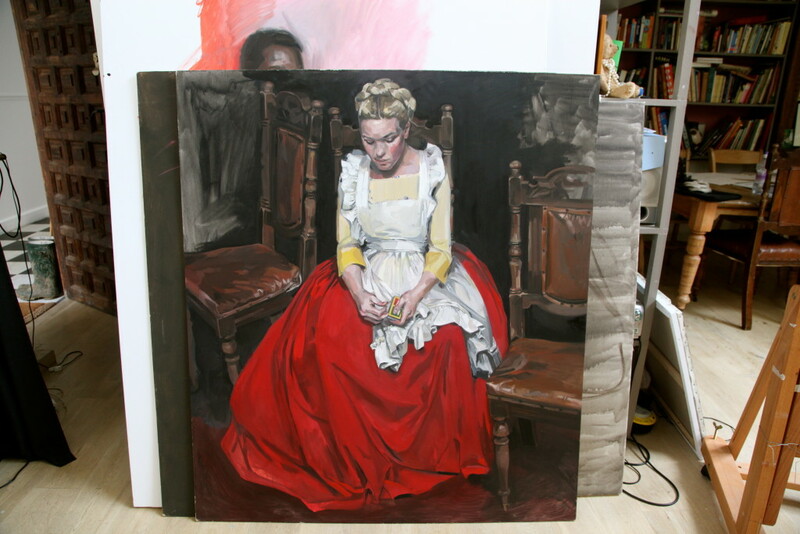 VG: I paint and draw from life, so get the model up on a stand, for portrait a lot is decided for you but it takes a while to choose the right pose, but I tend to get started straight onto the canvas and do the first sitting for about 2 to 3 hours. And I do take photographs at the same time, which is makes it easier as it helps me with the time pressure that people have today and makes me feel more relaxed with less pressure on myself. But I’d say the work is probably 70% from life. But when I’m doing paintings for myself, for example at the moment I’m working on a whole bunch of narrative paintings based on fables and cautionary tales, I wait until I can visualise a scene from one of these stories I’m reading then hire models and costumes and start working from sketches and plans but the idea is very fluid and generally changes a lot which is what I like about oil painting you can change it around at any point. A lot of my models have ended up being friends or out of work actors and its a lot about having a good connection with the model and feeling that they’re happy to sit for you. 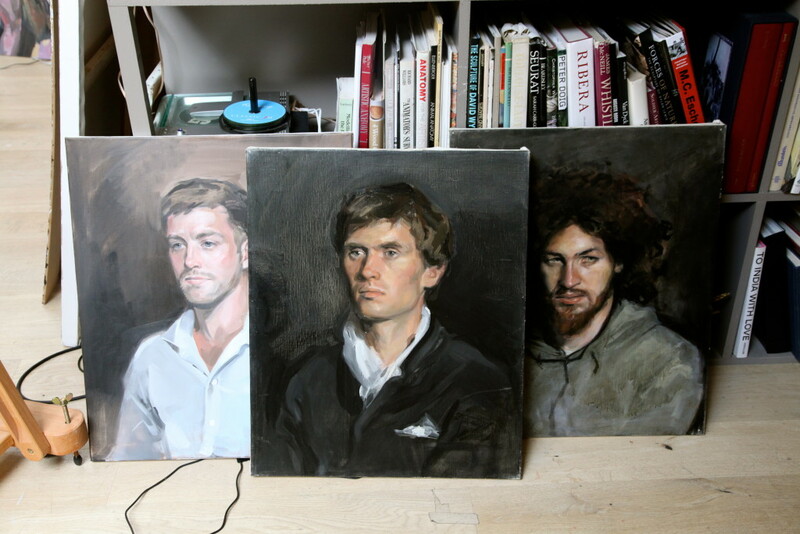 Because a lot of the time with portraiture I have a real sense that people are clock watching. You want someone who can kind of just relax into it. LL: Do you ever go beyond the studio and look at landscapes? VG: Yes I’ve done a lot of that. I love painting landscapes and being outside somewhere beautiful is such a nice way to spend a day so I’ve tried to do a lot of travelling to make that possible. Not so much now as I decided I need to buckle down in London and not keep ‘running away’. 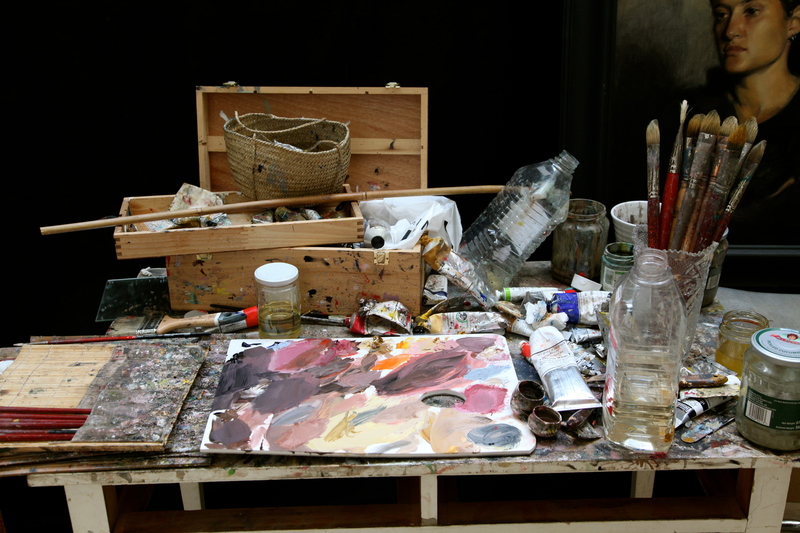 But I definitely feel that you need to go outside of your own little studio and find inspiration elsewhere. LL: Has there been a person or particular influence which has made an impact on your creativity? VG: Definitely. Obviously other painters are very helpful to talk to, and you can inspire each other or plan collaborations and things, but also other writers and musicians or any kind of creative job also has an influence as its always interesting to see a different perspective and approach. It’s sometimes nice just to discussing different creative processes and hopefully similar struggles! 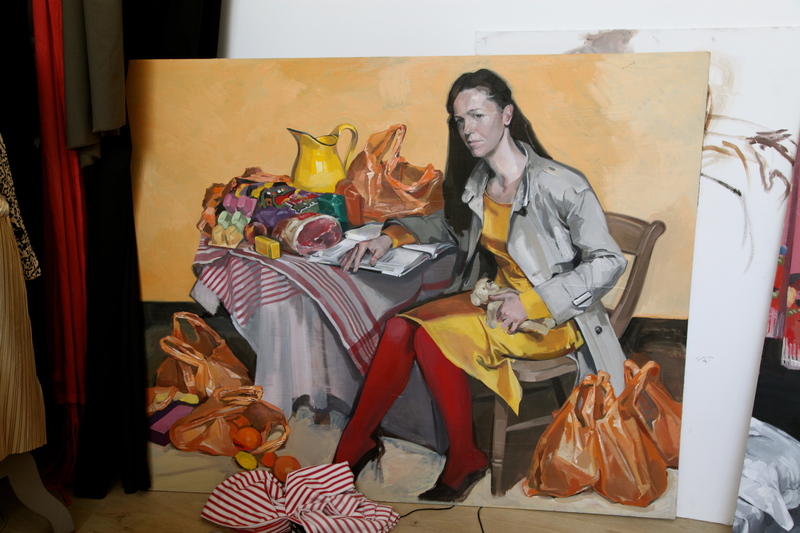 My big inspirations are Sargent, Velasquez and Van Dyk, I really love Paula Rego a lot at the moment as she also paints from life and tells stories. But most forms of art interest and influence me outside of painting, ranging from Manga, cartoons, animation, design – all things really! LL: Who do you look to as a source of inspiration and influence? VG: I try to go to as many museums and galleries as possible but then I also find internet really helpful to just source images. There really is so much there. Or just sitting in an art bookshop and just leafing through stuff. Seeing as much imagery as possible, in whatever way. VG: I think I’d always imagined that things would happen by themselves or that someone would come along and make things possible for me. And I’ve only recently realised that you need to make it happen for yourself! So what has surprised me is mainly what you can make happen when you try and the huge difference between thinking of an idea and actually starting it and how possible it is to and make something happen. LL: Do you see your own culture and background, your roots, influencing your creativity in any way? VG: Definitely. We all have our own different backgrounds and culture, and I think it does shape who you are as an artist, but then there is the inspiration that you choose for yourself which is different and equally important. I do think it’s really important to travel and see as much as you can from other cultures otherwise you may end up being very one dimensional and closed to new ideas. VG: I’m constantly listening to music……most of my day I’ve got music or podcasts playing and it helps me to either switch off a conscious internal dialogue or focus it in a helpful way. I think you need to know when is the right moment to be either of those things. But musically I like listening mostly to the oldies: Sam Cooke and Otis Redding…. A lot of soul, a bit of classical as well, I also love the Black Keys at the moment. LL: Is there anything that scares you as an artist in the world today? VG: Yes a lot! But I think you need to be as positive and as forward thinking as possible and although worrying is part of thinking and being introspective you’ve got to turn it off and focus on the present as much as you can! VG: I lived in Israel until I was about eight but I’m English, a London girl I suppose. After school I lived in Italy at art school for three years and then after that I decided I hated England and I did everything I could to just go away. And so I spent a lot of time in South Africa, in Kenya. I did some painting in Brazil; I lived in Spain for a while. I really did my best to get out there. I think I’ve always really loved visiting Africa the most probably because of the wild landscape which i think is so beautiful. LL: Was there another culture that you were particularly drawn to? VG: I think I’ve always really loved visiting Africa. It’s obviously a very interesting, frightening place but aesthetically I love the the drama of the landscape. LL: When you’re here in your studio, you very much, I imagine, in your world, your friends, your circles, your life. Is it easier or harder when you go away for your work? Where do you find the balance is it here or when you’re away? VG: I think that it’s sort of a mixture. I think you need a bit of change, I think whenever you get too cosy and comfortable somewhere it’s quite a good idea to change and see something else for a while. And I think it’s always nice to know that whatever it is that you experience and see elsewhere that you always have home to come back to and everything’s always very stable beyond what you’re changing inside. LL: Do other art forms or artists influence you? VG: Definitely. I’m just as inspired by seeing someone dance, or listening to a piece of music or appreciating any kind of artisan or craftsmanship. I think there’s lots of different ways of being creative and you need to be inspired by it all. It’s just everyone trying to express in different ways essentially the same thing. LL: When you look to the, I hate to say the word future, because we’re not there yet and what even is it, but how do you project forward your work as it evolves. VG: I guess I’m very happy to get along and do what I’m doing. I do have some goals and I am ambitious. But I think that because what I do is quite separate to the contemporary art scene, I never envisaged that it would have a place in that so I just feel I don’t know here my work would go in the contemporary world. I’d love it if it did have a place but I’m happy if I can just carry on doing what I love! LL: If you are the centre of your world, what makes your world turn? VG: I think you need to believe in yourself and be in a good positive place. You need to love what you’re looking at. It sounds like a bit of a hippyish thing to say but I was one told by a teacher that you need to ‘paint with love’ as in really enjoy life around you and looking at it and I think that’s what a good artist should do. It should make you look at life again. And that’s what I’m aiming to do.